Here at Custom Orthotics & Prosthetics, we understand how important it is to have our patients come first. Our patients come to us with a variety of needs and our compassionate staff helps them in seeking the best orthotic or prosthetic method. Our patients are met with staff that possess the knowledge and experience in handling a variety of related matters. Applying the best orthotic and prosthetic device requires extensive knowledge about the anatomy and structure of the body ligaments. We are proud to serve every patient with the capacity of this knowledge. Every patient is different and so are the needs that they may have. With this in mind, we strive to carefully assess the issue so that we may apply the best orthotic or prosthetic device. We work hard to gain the respect and reputation that comes from diligent attention to our patients of all ages, races, color and creed. We understand the difficulty that a person may be experiencing from having to undergo an amputation. There are psychological and physical “re-training” methods that we understand and apply to our patients. We all experience different specific ailments that can hinder our progress performing daily activities, but here at Custom Orthotics & Prosthetics, we individualize our devices with the lifestyle and daily habits that each person has. Patients come first in everything that we do. We offer a variety of orthotic braces to treat feet, knee, back, leg and arms. Customer service is what our office thrives on and we often have clients coming to our office based on the recommendations of their friends and family. If you have any questions about how our patients come first when handling orthotics and prosthetics in El Paso, TX, visit us here at 3901 Montana Ste. C. Or you can call us at (915) 566-3440. Artificial limbs, or sometimes referred to as prosthetics, are limbs for people who have lost one of their limbs for a number of reasons. Some of the more common reasons why someone might have an artificial limb are: traumatic injuries, cancer, birth defects and circulation problems from atherosclerosis or diabetes. If you happen to be in this position where you might need an artificial limb, there are some things you should be aware of. You should know that even though artificial limbs will not be anything like a natural limb, it will be able to serve you functions so you can live your daily life. There are many different parts and looks to artificial limbs. Some of these factors will be depend on your case and what kind of prosthetic you will need. These questions will be answered when you talk to a physician about your situation and see what they recommend for you. And should not be any worry about artificial limbs not fitting you. These limbs are custom made for you. They are conformed to your body to serve you. If it does happen that the artificial limb does not fit quite right, then we suggest talking to your doctor so the appropriate changes can be made as quick as possible. The last thing we would like to point out is that it can be somewhat of difficult process to learn how to use them. It will require effort, strength and patience to fully use these limbs. But we would like to note that you are not in this process alone. Your doctor will be there to answer any questions you might have and therapists will be there to aid and guide you throughout the process. If you have any questions about artificial limbs, visit us here at 3901 Montana Ste. C. Or you can call us at 915.566.3440. Click here to visit our website! Typically modern prosthetics in El Paso, Tx are made out of various materials such as advanced plastics and carbon-fiber composites. There are three basic components to prosthetic limbs, the pylon, the socket and the suspension system. Prosthetics are made by prosthetics. Since everyone and every case is different, the prosthetics that are made are unique to that person. The prosthetic must understand who the limb is for. They must take detailed measurements to ensure that the limb is conformed to them and pay careful attention to any muscles, tendons and bones that will interact with the prosthetic. 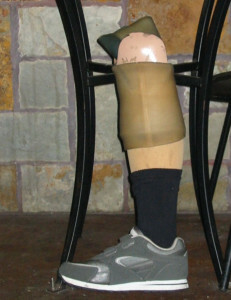 Prosthetics can be designed in a number of ways. Cosmetic prosthetic limbs are designed to match the appearance of who the limb is made for. Others may be designed for function and usability. In addition, these limbs can be controlled with cables connected to other parts of the body or with motors controlled by the user. There are so many reasons that can lead to someone losing all or part of a leg or arm.The most common scenarios involve circulation problems caused by diabetes resulting in amputation, traffic accidents and warfare resulting in amputation, cancer and sometimes birth defects. If you have lost an arm or leg due to unavoidable circumstances, artificial limbs can be used to replace the augment the missing extremities. The device, a prosthetic is used to replace the missing leg so that the amputee can perform daily actions like walking, eating and dressing. A few types of artificial limbs can restore functionality to almost the way it was before. What are Artificial Limbs El Paso, TX? Prosthetic /artificial limbs are devices manufactured to emulate to some extent, the functions of natural legs and arms. Artificial limbs are generally used to replace a lost limb like in some of the conditions mentioned above. This makes it possible for such a person to lead a quality and productive life. Artificial limbs may be simple gadgets that are functionally efficient, or improved limbs that are constructed to have the look and workings that are alike to that of natural limbs. Unlike in the past, artificial limbs are nowadays more advanced given that some use power sources and sensors which enable communication between the device and the individual to take place. Some artificial limbs have hydraulics mechanisms which enable them to bend. For instance, a leg can be capable of bending with the help of an artificial knee joint plus the balance on the prosthetic foot that imitates the actions of a natural foot. With the application of cosmetology, it’s possible to cover artificial limbs using synthetic materials quite similar to that of the natural skin. On the whole, artificial limbs are used to substitute a lost limb and restore some sort of movement and mobility. On the other hand, there are also artificial limbs tailored to enhance a particular function. For instance is that of prosthetic leg attachments that don’t look like natural legs, but give exceptional balance. Some artificial limbs are designed to enhance the capacity to run and walk. It is common for amputees to own several prosthetic limbs. Some of the artificial limbs are for particular tasks like participating in sports. Others are built cosmetically to look like human limbs and are used for social functions. Like in other places around the world, children in El Paso can either lose their limbs or are born without them. Having physical incapability as a result of the loss of a limb is tragic, especially in children. Fortunately, current advancement in science and technology has made it possible to develop artificial limbs that are close to the natural one. Artificial limbs in El Paso for children have and are still being tried with success. Artificial limbs are improving the lives of many disabled children. There is no end to breakthroughs and that is why artificial limbs are going through revolutions to create better replacements. In fact, children may not even figure out that they are in fact wearing them. A child my loose his/her arms. This can bring untold misery to the child. Sometimes, they have to put up with denial from other children. 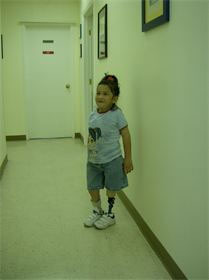 Artificial limbs in El Paso for children help them to regain the use of the arms. A child can also loose his/her legs. Legs are essential for easy movement. Engineers have produced artificial feet with considerable level of success. Children nowadays can move easily and comfortably with artificial feet. Prosthetic hands and fingers are also available nowadays which enables children to perform functions like writing, eating, holding and so forth. A common prosthetic problem is the loss of legs. This makes it rather difficult to carry out physical activities that require movement of body like walking. Children born without legs have discovered how to do without them. But those children who lose them through accidents find it hard to accept. Artificial legs can help these children to move again.